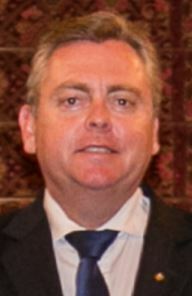 The announcement of the approval came from Arts Minister Don Harwin on 21 November, but the decision was made on the sole authority of Planning Minister Anthony Roberts. It has been a long time coming. The original plan was announced in May 2013 by then president of the Board of Trustees Steven Lowy and the Director, Dr Michael Brand. From the start it was controversial. It became more so once the pharaonic winning design by Tokyo firm SANAA was revealed in 2015. Criticism came from longstanding supporters of the Gallery, including former Prime Minister Paul Keating, architects, environmentalists, museum professionals, members and arts writers. After the DA was lodged in November 2017, detailed objections were submitted by more than 170 individuals and 17 organisations. 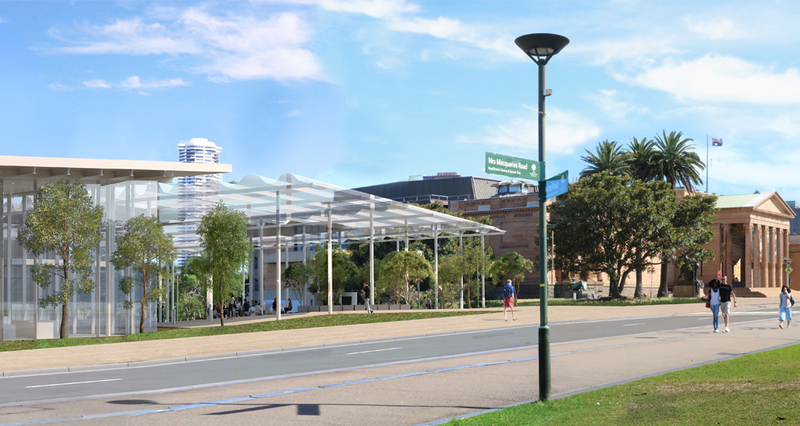 The AGNSW scurried to make some minor adjustments to the plan, but the most serious objections have been swept aside. Despite repeated requests, the DA has never been referred to the Independent Planning Commission or to any other appropriately qualified body outside the Department of Planning. Nor has the business case for the project been released. Both ministers involved with the project are big Liberal Party fund-raisers and numbers men with no experience whatsoever of museum management. Harwin is from the liberal “Wets” and Roberts is a conservative “Dry”, but they are united in seeking business support for the re-election of the Berejiklian Government. 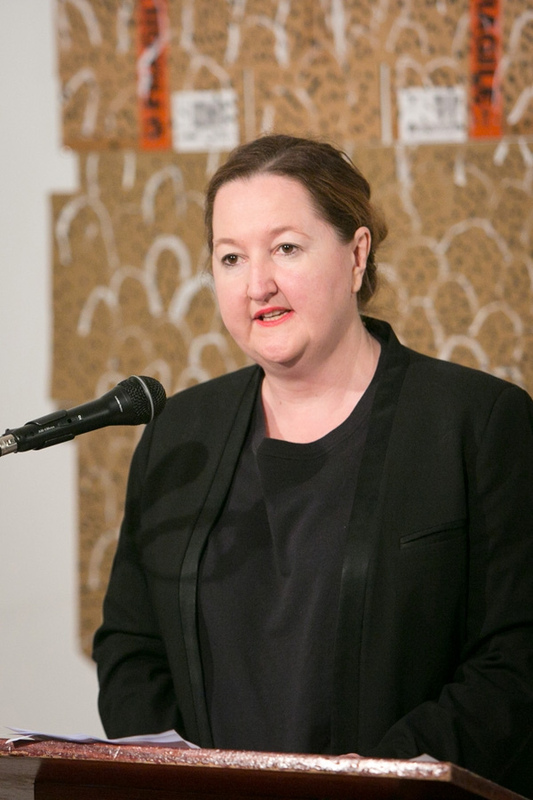 Welcoming the DA announcement, Gallery director Dr Michael Brand referred to Sydney Modern as “the largest public-private partnership of its kind in the Australian arts”. As Neil Wilson of Redfern pointed out the next day in a letter to the Sydney Morning Herald (SMH), the AGNSW “is a not-for-profit public institution for the display of artworks” and the private part of the deal is a $100m philanthropic fund, not a partnership in governance. Wilson’s was one of many concerned comments the paper received. In first reporting the announcement, the headline in the SMH (“Independent. Always”?) claimed: “Critics appeased”. Not so, as it turns out. Donald revealed that for a year his group had tried to engage the Government about alternatives to the plan. He said that Planning Minister Roberts, who is believed to have reservations about the project, nonetheless refused to meet former government architects Peter Webber and Andrew Andersons whose concerns are shared by many other professionals. Architecture – The AGNSW’s video accompanying the DA announcement suggests to many that the revised plans are in some respects worse than the original. The land bridge over the Cahill Expressway, which many had hoped would remain clear of buildings, now sports a huge corrugated-roof structure labelled a “pavilion” but more reminiscent, according to architect Peter Webber, of a “car wash”. And despite claims that the interior of the new building will be all about the art, with its harbour views and vast open spaces it still looks more like a function centre than a gallery. Pavilion – or car wash? Alternative sites In the year since the DA was lodged, it’s evident that no alternative sites or projects have been considered. In a blog posted days before the announcement, art critic John McDonald took up a much-canvassed idea, urging the Labor Party to adopt policies to leave the Powerhouse where it is and “consider sending Sydney Modern to Parramatta, thereby killing two birds with one stone, creating massive savings, and leaving the green space of the Royal Botanic Gardens untouched”. Alternative spending Parramatta, the State’s fastest-growing city, remains without a public gallery, and the State itself remains without any dedicated museum of Aboriginal culture and history. Regional museums are left to limp along, with a few crumbs from the table, mainly in marginal electorates. Access There is still no provision for adequate parking or public transport, creating problems for visitors especially at night, and adding to congestion in the area. “The traffic planning is really bizarre,” says Bruce Donald. Sustainable funding There is no increase in recurrent funding, rather the reverse. The damaging annual budget cuts known as “efficiency dividends” have been raised by the State Government to 3%. It remains a mystery how the collection is to be cared for and the quality of programming assured under such conditions. Like other objectors, I had written to Planning Minister Roberts asking him to refer to the DA to the Independent Planning Commission. An answer to my 25 September letter came in early November, not from Roberts but from one Anthea Sargeant of Key Sites and Industry Assessments. In typical bureaucratic double-speak, it claimed that the Department was “undertaking a fully independent assessment” and that: “All documentation and submissions relevant to the proposal have been made publicly available.” But the only assessments were internal to the Department, and the key business case has never been published. My prediction is that, in keeping with other Berejiklian Government infrastructure projects, the costs and timeline for Sydney Modern will blow out massively, and the problems with recurrent funding will result in neglect of the collection and of staff development. The new building will initially attract visitor numbers, but even in the unlikely event that ongoing attendance is doubled, as promised, how is it all to be paid for? Entrance fees? More and more corporate hire? Turning it from a public institution into a “public-private partnership”? It’s a chilling prospect. Sydney works in ways we’re not supposed to know about. In the discreet upper-floor offices of glass-walled tower blocks, over boardroom lunches and at private encounters in harbourside mansions, deals are arrived at between government and corporate heavyweights, deals that affect all the people of NSW, but on which the people get little say. Crucial details are kept secret under “Cabinet-in-confidentiality” provisions. Under the Berejiklian Government, this modus operandi now infects the arts. There is no other way to explain the fact that the bulk of the state’s “cultural infrastructure” funds has been allocated to just two projects, with vital documentation concealed from Parliament and the public. In advance of the DA approval $244 million was allocated towards Sydney Modern, following years of relentless lobbying by the corporate-dominated board of the AGNSW, where the President is now ANZ chair David Gonski. The business case for the project, as we’ve seen, remains a secret. Meanwhile an estimated $645 million in public funds has been allocated towards the $1.17 billion cost of the destruction and removal of the Powerhouse Museum, while developer deals at both the original Ultimo site and the Parramatta destination site remain unspecified. But while the Government steamrollers through its plans, problems are piling up at the Powerhouse. Maintenance at the Ultimo site is so neglected that furious staff have blown the whistle over vandalisation of the collection. A water leak in August damaged items including gifts from the Oceanic Research Foundation, valuable garments from the Jenny Kee & Linda Jackson collection, Aboriginal artefacts and a wedding dress worn at the Great Synagogue. The priceless Boulton and Watt engine, a centrepiece of the collection, has been inoperative since early September. Lisa Havilah has been appointed the new head of the Powerhouse, but she faces massive challenges when she takes up the post in January. Highly successful in popularising inner-west Carriageworks as a cultural events and performance centre, she has no experience of museum management. Made CEO rather than Director, her brief is to oversee the much-contested move, and in a break from tradition she must report directly to the Minister rather than principally to the board. In more than two years since it was established, the NSW Upper House Inquiry into Museums and Galleries has been unable to ascertain just what developer deals have been done or are contemplated at the Ultimo and Parramatta sites. At its latest hearing on 16 November committee members questioned Professor Barney Glover, appointed chair of the board in 2016, and acting director Andrew Elliott. 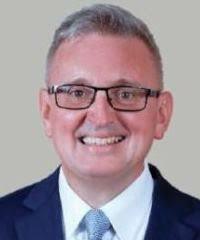 Professor Glover has not joined former trustees such as Kylie Winkworth and businessmen Nick Pappas and Trevor Kennedy in opposing the Powerhouse move. In a tense Inquiry session both Glover and Elliott appeared to have some difficulty providing answers about the budget for last year’s loss-making, scandal-plagued fashion ball, about funds for maintenance at Ultimo, about the appointment process for the new CEO and about the board’s failure to oppose the siting of developer tower blocks on the plot marked out for the new museum at Parramatta. Several questions were taken on notice. In one exchange Greens MLC David Shoebridge asked Professor Glover about a letter he had written to the Deputy Premier on 1 September 2016, stating the Trustees’ position that “the ‘whole site’ is required, unencumbered by other commercial developments, in order to realise an architecturally iconic, world-class flagship Museum”. This had been the board’s “red line”. “Shoebridge: The Government has ignored it and come back with a business case that plonks a ruddy great tower right in the middle of the site. What is the trust’s response? “Glover: The trust has continued to work with the project steering committee over a period of time. In this case, over two years have elapsed. A great deal of discussion has gone on at project steering committees. The Government has made its view very clear about the project and has made a decision. They have selected a particular option. The trust is now supportive of the option that is being pursued for Parramatta. The full transcript (click on link) is worth reading. It’s an object lesson in the way politically-appointed boards of public institutions come to prostrate themselves before governments and their business advisers. This year has marked a new low in government treatment of cultural matters at both State and Federal levels. On top of cuts to public institutions came the decision, backed by Premier Berejikllian, Prime Minister Scott Morrison and “Left” Labor Federal front-bencher Anthony Albanese, to turn Sydney Opera House into a billboard for the gambling industry. Then, while ever other major cultural organisation was suffering budget cuts and job losses, the Australian War Memorial was granted half a billion dollars – not to assist veterans or celebrate the indigenous people who defended this country against invasion, but to perpetuate the Big Lie that fighting America’s wars is in Australia’s national interest. Why does all this matter? Museums and galleries, some argue, aren’t a great priority when our cities are becoming unliveable, when schools and hospitals are in crisis and when job security – especially for the young – is a thing of the past; when society faces the twin existential dangers of environmental catastrophe and economic meltdown. But in these circumstances, public institutions matter all the more. They certainly do to American journalist, author and Pulitzer Prize-winner Chris Hedges. An acute social observer, he writes eloquently about Wall Street greed and the rise of the military-industrial complex, the concomitant exacerbation of inequality and the debasement of popular culture. 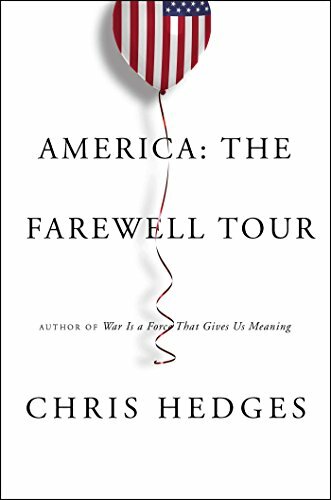 His latest book, America: The Farewell Tour (Simon & Schuster 2018), gives a harrowing picture of a dysfunctional society that is the source, rather than the consequence, of the rise of Donald Trump. He dissects the eradication of civil rights in the US, the capitulation of governments to the fossil fuel lobby and the squandering of money on the military. But none of these, he concludes, is the greatest danger to society. “The most ominous danger we face comes from the marginalisation and destruction of institutions, including the courts, academia, legislative bodies, cultural organisations [my emphasis – JW], and the press.” These are the bodies that give citizens a broader perspective, an informed view, the chance to contemplate excellence in human achievement, and the ability to rise above perceptions of self-interest and hold governments to account. That’s why museums and galleries matter. Funding needs to focus on preserving heritage, developing best practice and ensuring public education, rather than on grandiose building projects. End the “efficiency dividend” budget cuts in the cultural sector. Restore the last five years of cuts to institutions, the Australia Council, the ABC, SBS and CSIRO. In the overall budget, the sums required are tiny. Review spending on all major building projects and prioritise them (see Planning below). Make recurrent funding index-linked to ensure that entry to public institutions is free, staff levels are retained and the maintenance and care of collections is adequate. Governance must ensure that public institutions, while accountable to parliaments and the people, have the level of independence necessary to fulfil their objectives. Review the board appointment process so that it cannot be the tool of party politics. Appointments should be subject to review by professional bodies and all-party committees of parliaments. Ban the appointment of bankers, mining magnates, major political donors and anyone benefiting, personally or professionally, from business deals with government. Include elected staff representatives on every board. End the secrecy surrounding development proposals. Publish all relevant documents including business cases and board minutes. Limit the use of external consultants, and ensure full reporting of any contractual details including remuneration. Planning needs to restore to public discourse the vision of a society where all citizens, and especially all children, have access to the best that institutions can offer. Immediately halt major construction spending, at Federal level on the Australian War Memorial, and in NSW on the Powerhouse and Sydney Modern projects, pending full review. Develop cultural policies that embrace the 2017 Statement from the Heart by Australia’s indigenous peoples. The Makarrata (coming together) process should define spending priorities for truth-telling about the country’s history and for education in indigenous culture. These priorities will include a NSW State museum dedicated to Aboriginal history. In each state, conduct professional surveys of regional cultural requirements to develop an overall plan. Ensure that all institutions have well-trained education departments, and that public schools and colleges have full and free access to their facilities. Thanks to the many readers who have supported the book and this blog since they were launched 18 months ago. May this summer recharge your batteries, and give you new hope for the year to come. Culture Heist is an eye-witness account of the corporatisation of a major cultural institution, with analysis of the national and international background. To obtain a personally signed copy, dedicated to you or a friend, order online HERE at the discounted price of $27.50, including free postage. Judith. I love your passion and I completely agree that arts budgets now and in the future need to be dominated by concern for the development and care of collections and the staff to manage them, and less by the monuments to house them. The politics of cultural development are also a minefield that requires your constant vigilance. But I have to say that the glorious Domain land that will go to accommodate Sydney Modern is neither glorious nor actually used. I walk past it every time I visit the gallery and the occasional game of footy is about all I’ve ever seen happening there – a dodgy bit of green unseen from above over a vast tank that could be an interesting incorporation into the art gallery. You also traduce Lisa Havillah. I’ve followed her career since she was at Casula Powerhouse, subsequently running the Campbelltown Art Centre and adding much visual art to its operations. At Carriagewprks she has done much more than offer the most exciting performing arts program in Sydney – adding shows like the current Nick Cave extravaganza which forces a not-necessarily visually-inclined audience to consider the visual; and, commercial though its intention is, Sydney Contemporary offers more of the Australian art of today over three days than the AGNSW manages in a decade! To describe the Domain land “neither glorious nor actually used” and as “a dodgy bit of green unseen from above over a vast tank” is just evidence of having drunk Michael Brand’s Kool-Aid. First, there are 2 green spaces, one, the land bridge and the other on Lincoln Crescent. Secondly, the point of green space is not to be “used”. Passive green space is as, or more, important than space used eg for “footy”. Third, green space is not the lesser by being laid over built space (contrary to AGNSW propaganda which always refers to these as “grassed-over concrete spaces”). Ex 1, the NY High Line. & it is not only the land – it is the sightlines of park & trees and green, replaced by a building that looks like the runner-up in a competition for Wagga airport. Sydney “Modern” (in itself a ridiculous, marketing-driven name) is a shameful, disgraceful project. as if that is also going to be sold. The Lands Dept could easily have been adapted for use as a public Gallery as can the Chief Secretaries Building. That such critically important public buildings could so easily be “disposed of” is another aspect for the complete disregard for cultural heritage and social capital. That there is no serious consideration of options and alternative uses is partly to do with the privatization of what once was a Government Architects office that had the public good as its central interest. Now apparently all decisions are for the benefit of developers , donors and lobby groups. The “public interest: does not exist for this NeoCon Government. How wonderful that would be – to have an exhibition space for the Gallery right on Macquarie Street! It would make the Gallery so much more accessible, and all for the cost of an internal refit. The Hermitage did it in St Petersburg for its Impressionist collection, renovating the General Staff building on the other side of Palace Square into a beautiful museum extension – why couldn’t we? If you want to look at pictures, rather than harbour views, those classic public buildings are ideal and would greatly enhance life in the city.